Traditional shampoos and conditioners are damaging to human hair. Most hair care products that you can buy at the store have dozens of synthetic ingredients that only serve to strip your hair of the oils that it needs to stay beautiful. Depending on the product, people experience waxy hair, extremely dry hair, and frizzy nightmares. Many people are just starting to not use shampoos at all, but that doesn’t have to be you. It’s a great thing to treat your hair well, acting in a way that will restore and enhance it. Traditional shampoos just don’t do this. Organic natural hair products are a safe alternative that will clean and enrich your hair without stripping it of its natural oils. 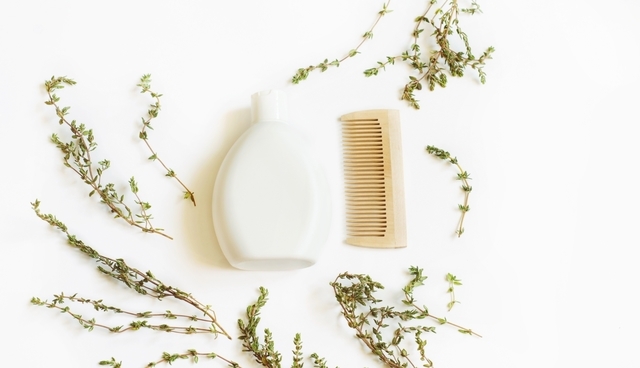 The presence of natural hair care products has come into the mainstream lately, likely due to a rise in the presence of large companies selling products that have the word “organic” or “natural” on the logo. But how do you know these companies didn’t just sprinkle some aloe into the vat of synthetic ingredients and call it a day? These two terms are often used interchangeably, but there are a few differences when it comes to products on the shelf. Sure, the words have similar meaning and can be used similarly in conversation, but the way that they are marketed makes all the difference as it relates here. Slapping the word “natural” on a bottle of anything doesn’t require any effort. Any company can do this without having to prove that the product is, in fact, natural. The word “organic,” however, has to be verified before that product can be sold. So, steer clear from the bottles of conditioner that say natural if you’re trying to rid yourself of harmful chemicals. You should always look for bottles that say “organic,” or “verified organic” on them. All this says is that the product was not created with any synthetic fertilizers or genetically modified organisms. Whatever elements of the product that was made without the use of organic ingredients were created using the principles of “green chemistry,” which is verified as ethical and non-harmful. Well, a lot, actually. Science has brought us to the point where most hair care products can be reproduced organically. The health benefits that come from making the switch may actually be surprising. People often forget about the skin of the scalp. Your scalp, your face, and your hair will all thank you. You’ll likely lose that itch, a little acne, and your hair will look like it should naturally. We underestimate the power of the chemicals that we put in our products, and the wise thing for anyone to do is avoid those harmful pollutants. Interested in Getting Chemicals Out of Your Life? Organic natural hair products are not the only things that you can swap out. There are a lot of other products in our daily lives that we don’t realize are harmful to us. If you’re interested in making the switch to a chemical-free life, we have all of the information that you need.